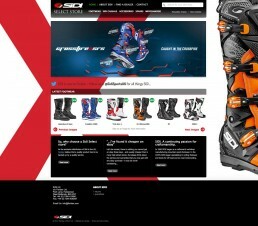 Web design and build for the premium sports footwear brand SIDI. The site includes a local dealer search function and online store where users could browse the full range of products. The checkout procedure is a ‘Click & Collect’ function for users to send enquiries to a local store to check availability and to arrange a time for collection.